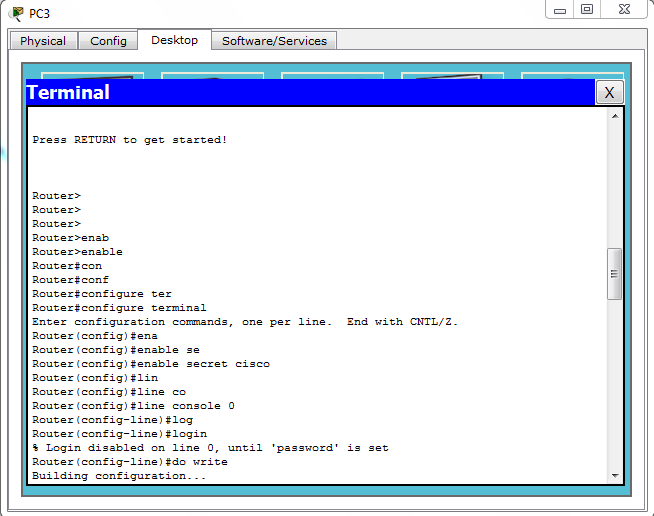 In this post, i will show you how to set password in console port of CISCO router. Adding password to the console port of cisco router will help you put extra layer of security on your network. So it is very helpful to put password on console port. Putting password will help you in unauthorised access of your router configuration. 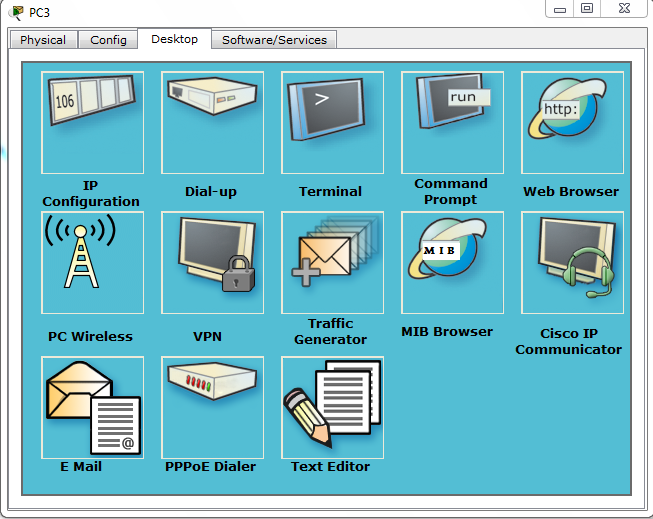 I will show this process in Packet Tracer simulator. 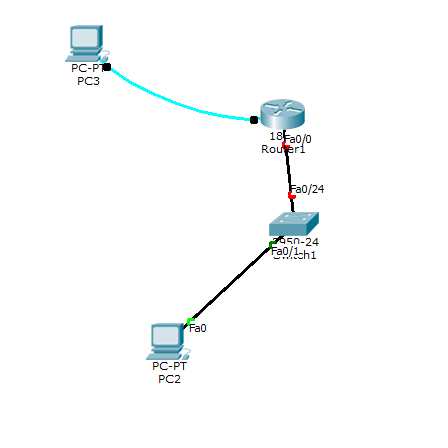 So first design any simple network consisting of router and switch. Now click on the PC which is connected to the router with console cable. Note that PC is connected to the console port of the router if you want to configure the router. And the console cable is connected to the PC with RS232. 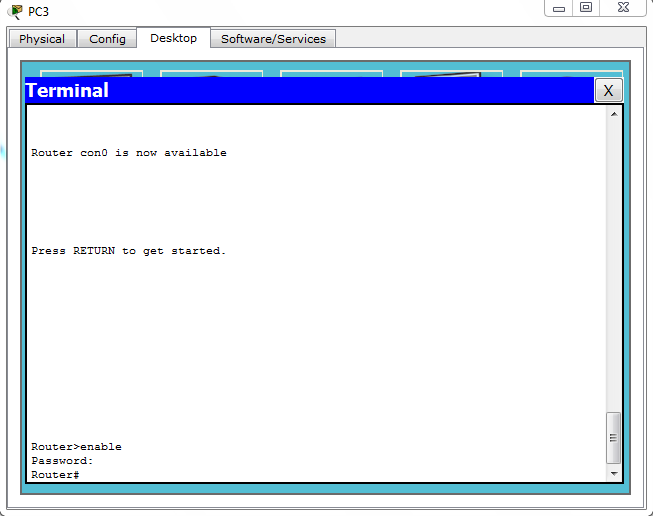 Now click on Terminal and start to write the code as shown below. Apter you have written the above code, your screen should look like below. Now exit from the configuration mode and go to initial state and now again try to go to any other mode. You will see that you need password to enter the user privilege mode or any other mode like below. If you still have any problem then you can watch the video below where you can see how to set password on console port of cisco router. Comment below if you have any queries or comment about putting password on console port of CISCO router.